IMPRES batteries when used with an IMPRES charger provide automatic, adaptive reconditioning, end-of-life display, and other advanced features. Data is stored in the battery and communicated to the charger via a unique IMPRES communication protocol which is designed to maximize talk-time and optimize battery cycle life — all automatically. Automated maintenance and a six month extended capacity warranty when used with IMPRES chargers. 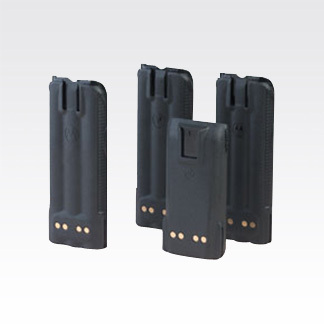 The HNN9031 is a 1525mAh NiCD battery that provides a robust solution for Public Safety workers.